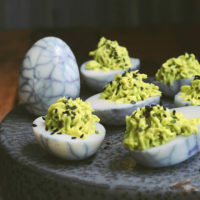 Whether for a class party, office party or even block party, these halloween potluck ideas and food will make your life easier so you can have a ghoulishly good time! What? You don’t throw a Halloween Block Party? Well, perhaps you are invited to a halloween potluck at the office? Are you room mom and need to throw a fabulous halloween party for 30 kiddos at school? For over 10 years, my neighbors and I throw a halloween block party. From what started as four families with 4 kids has blossomed to dozens of families and oodles of kids! It has grown so much that it doesn’t fit in our garage and now we block off our street. As the kids get older, the party evolves with them. And now that they are teenagers, ditching mom and dad, it’s now just a coming together of lawn chairs in front of the house. But just because the kids are older, it doesn’t mean we can’t have fun for halloween. 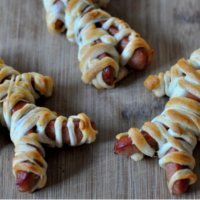 Here are some of my favorite tried and true Halloween potluck ideas as well as some of the most creative halloween foods and crafts I’ve seen from my blogging friends. 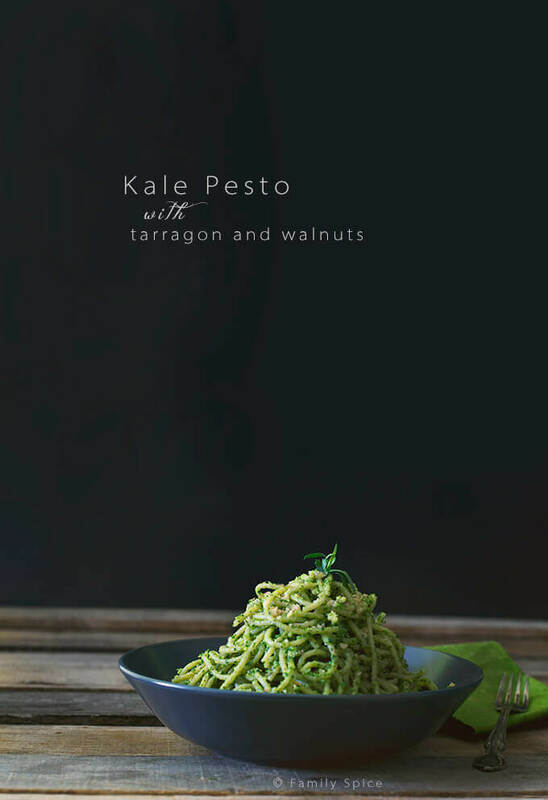 Whether you have it simmering in a crock pot, or need to eat it cold, there’s an easy recipe for you! 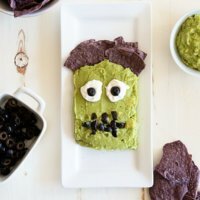 Snacks and appetizers that encourage little nibbling and grazing is always a hit at a halloween potluck or party. 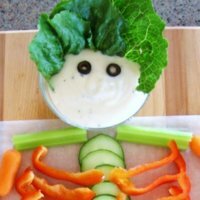 Here are some fun and clever halloween appetizers, whether you are into ghoulishly decorated eats or not. Party Drinks? Of course! 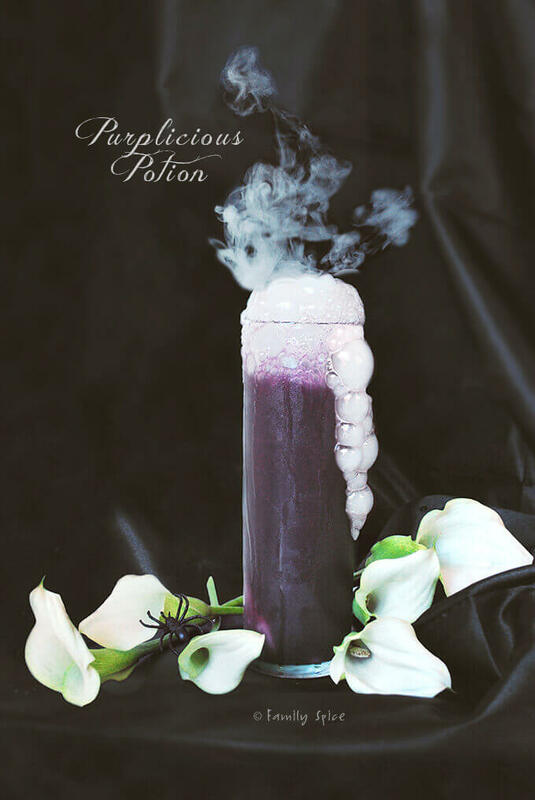 For the kids how about all natural, dye-free Purplicious Potion. And for the grownups? Make a pitcher of Pomegranate Sangria or some Sake Mojitos for the crowd! 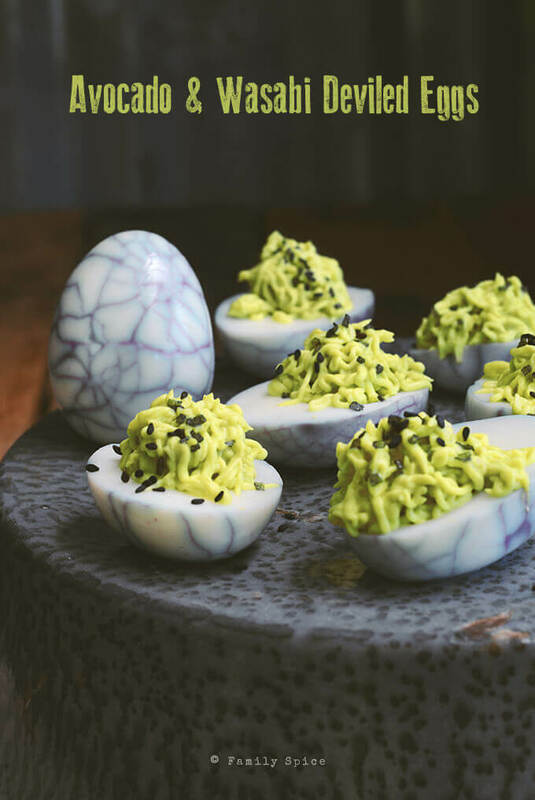 Add some spookiness to your party spread with these naturally green and creamy Avocado and Wasabi Halloween Deviled Eggs, with NO artificial food coloring. Now go play with your food and Happy Halloween! Love that top photo. A Halloween block party is a great idea. Our block usually has its annual picnic right around Halloween (cool weather picnics are fun; besides, people haul their fire pits out to the street and we have big roaring fires!). Some of these would be so great for that. Thanks. 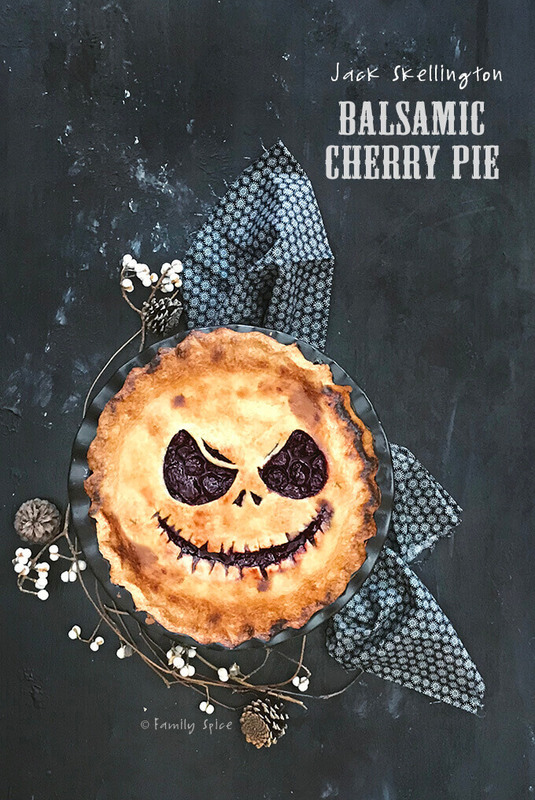 What fabulous looking recipes in those photos – so spooky. Your block party sounds great fun. We don’t really have those here so we miss out on all that bonding with the neighbours time. Your Halloween creations are so pretty and cute! I enjoyed your Halloween post and I really admire you of your creative food!!! I’m still new to Halloween theme food (started to pay more attention thanks to kids getting older etc). I hope you have a wonderful Halloween with your kids. I bet you are dressing up. Yeah? 😀 Talk soon and have a great weekend! How fun that you do a Halloween block party! You recipe ideas are perfectly spooky for the occasion. Wow Laura what a great roundup. 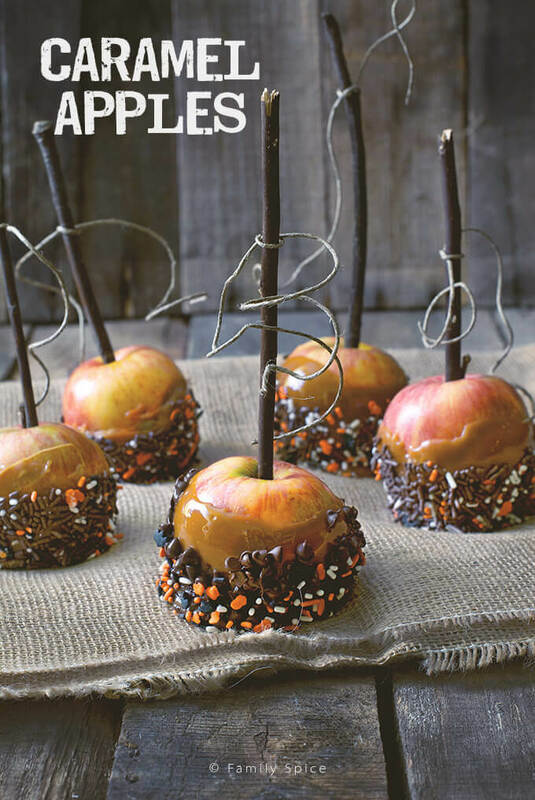 I specially love the Halloween recipes and photos -all gorgeous!